Biking on 30-A is a must when you have a fantastic paved path running for 13 miles sitting in front of your 30-A vacation rental! there’s no reason not to push your pedals in comfort and safety. No bike? 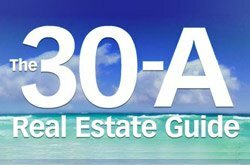 Find rentals on 30-A that are close to your location for convenience. Looking for a place to start your bicycle adventure? Consider the latest addition to the bike path – the Seagrove stretch. Its smooth surface clear of debris beckons you to enjoy the open air! Or go in the opposite direction for a manageable and scenic workout heading from Seaside to Grayton Beach. The long straight section from the east end of Seagrove to Seacrest will make you feel like you’re back in old undeveloped Florida.